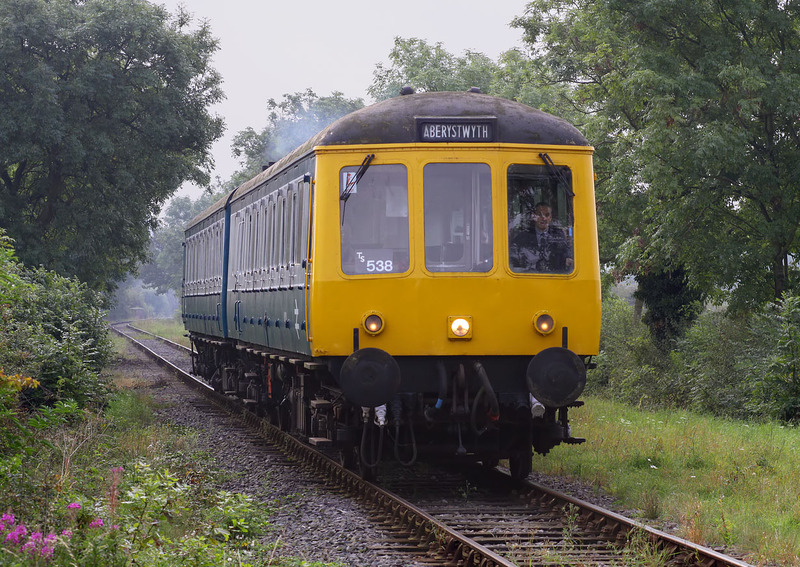 Former Tyseley DMBS 51131 is paired on the Battlefield Line with the sole surviving Class 118 vehicle (51321). It is seen here with 51131 leading passing Congerstone on 19 September 2009, with the 08:30 Shenton to Shackerstone service, the first train of the day during the line's Diesel Gala. In true heritage DMU tradition the Aberystwyth destination is wildly optimistic!